Living and learning is easy in Louisville. We’re a city full of resources that can provide you with opportunities for training as well as education. From starting families to advancing your career – Louisville has everything you need. While some may know Louisville best for our famous food, world-class sporting events, and authentic culture, locals also know it for our high-caliber education system. Whether you’re looking to start a family in the Louisville area or aiming to take your professional career up a notch, you’ll find that there are ample education options at every level – plenty for anyone looking for a city to learn and live in! Here you’ll find all the resources you need to learn about the education and training opportunities available in Louisville. When it comes to schools in Greater Louisville, choose away! The Jefferson County Public Schools district is home to award-winning and nationally recognized schools that provide a wide range of programs and options to meet the needs and interests of every student. 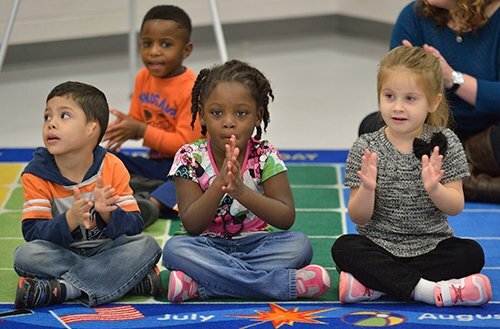 With over 101,000 students in 172 schools and learning centers, more than 80 percent of families in Jefferson County choose the public school system for their children’s educational home. There are plenty of schooling options available and new residents are encouraged to use the JCPS School Finder tool to find the perfect fit. Living outside of Jefferson County in Greater Louisville. The other public school systems in the area range from small Anchorage Independent School, whose 350 or so K-8 students regularly score at the top of Kentucky accountability tests, to large countywide systems, on either side of the Ohio, with strong academic records of their own. The diversity available in the public sector is complemented by the range of other school systems in the area offering a variety of religious, teaching and sector philosophies. The options for Catholic education in Louisville are ample with 38 elementary schools enrolling more than 13,700 students, and nine high schools serving a combined 6,000+ students. Private schooling is available for students of all levels K-12, such as Louisville’s Christian Academy School System and Louisville Collegiate School. Students can always opt to begin and finish their education online. Families have the opportunity to teach their children themselves with this online assistance. In the Greater Louisville region, you can advance your education by any increment – earning a certificate that shows you’ve mastered an essential job skill, or engaging in post-doctoral study at the advancing edge of science. There are over 50,000 students here, attending 32 local colleges, universities, seminaries, technical schools and other institutions of higher learning. With more than 22,000 students, and twelve different colleges and schools, including medicine, law, dentistry and business; the university has been an anchor to our community for decades. A key component of the Kentucky Community and Technical College System, Jefferson Community College is an affordable option for many local students. Jefferson Community and Technical College has over 14,000 students on five campuses, the largest enrollment in the state community and technical college system. A private, Catholic university, Bellarmine is located on the edge of downtown and places an emphasis on an education based in the liberal arts. The state’s largest independent four-year institution, Sullivan University offers practical degrees that are likely to lead to specific fields such as accountancy, nursing, pharmacy and graduate programs. Established in 1814, Spalding University has a long history of educating students in the Greater Louisville area. There are also many other options available to Louisville students. Whether you want to stay in the area or are looking to explore other parts of the state, this list of colleges in Kentucky is an excellent place to start your research into different campus options. 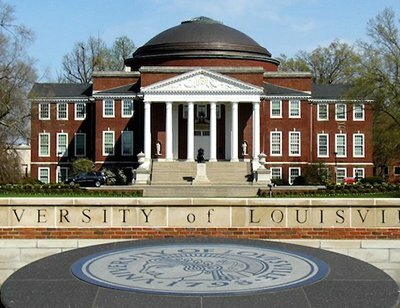 Louisville makes higher education a priority, and those who want to stay local will find that there are plenty of options available for college in Louisville specifically. Those who are planning on starting a family or advancing their current career through advanced education can also explore the benefits of attending an accredited online college based in Kentucky. Paying for continued education might not seem possible, but there are plenty of options to make education more affordable. A list of scholarships and resources for MBA programs is available online, helping you figure out how to save for education. There are also options available when it comes to getting financial aid for online schools, and those looking to continue their education online may want to check out this guide to paying for online schools. Louisville is home to tens of thousands of jobs, and we’re constantly trying to help our citizens find the best opportunities for them and their future careers. A leader in the area when it comes to placing people in the right fields, they placed over 1,400 people into new roles last year. An excellent resource for both job seekers and employers located across the river in Southern Indiana, WorkOne connects employers and employees, building connections and finding the perfect fit for both sides. Here to help veterans and military spouses find jobs in the Louisville area. Where Opportunity Knox assist with the transition period and gives veterans and their families the support they deserve. As the workplace becomes more advanced, Conexus Indiana prepares people to step into emerging roles and positions, including specialized training in the fields of advanced manufacturing and logistics. A great resource for those that want to expand on their skills and move up in their field or switch fields entirely. Elizabethtown/Hardin County Industrial Training teaches you everything you need to know while providing you with the resources to advance in industrial roles. Continuing your education shouldn’t be difficult, which is why Louisville offers plenty of options for pursuing a degree or taking additional classes to fit any schedule. Whether you’re looking to earn your GED, become more proficient in the English language, or expand career skills/explore new interests, Jefferson County Public Schools’ program for Adult and Continued Education is the place for you! Every 90 days, there are about 100 unfilled junior software development opportunities open in the greater Louisville area, and those numbers are growing fast! Code Louisville offers a series of 12-week software development tracks (total of 24 weeks) to adults who want to pursue a career in the software development industry at no cost to the student! The demand for nurses is at an all-time high here in Louisville and it’s never been easier to fulfill your dream of earning a nursing degree. The next generation of educators can explore information on pursuing a teaching career and find which education degree programs are fully accredited at Kentucky colleges. Computer science is one of the fastest growing fields, and online options give you the flexibility to remain in Louisville while adding skills to change careers.